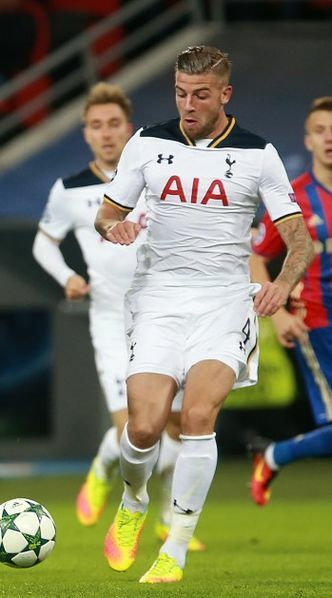 Toby Alderweireld’s agent has told Tottenham they risk losing the centre-back unless they reward him with a new contract. The Belgian’s current deal expires in 2019 and he is yet to be offered an extension. “Even after his injury he recovered well. Tottenham’s statistics fell sharply during his absence. If you only look at his figures, Toby is impressive and for his performances, he deserves either a correct contract from Tottenham or a transfer. Spurs won just 50% of Premier League games when the defender was absent last season, compared to over 73% when he did feature. A host of Tottenham players have been rewarded with new deals over the last 18 months, but Alderweireld’s situation is more complex. It’s reported that the club have the option to extend his contract by another year, but that would mean activating a clause making him available for just £25million. The 28-year-old has built up a fine partnership with Jan Vertonghen since moving to north London from Atletico Madrid in 2015. As part of any extension, it’s expected he’ll ask for a pay rise to bring him closer to the wages of star striker Harry Kane and captain Hugo Lloris, the only players who earn more than £100,000 a week.